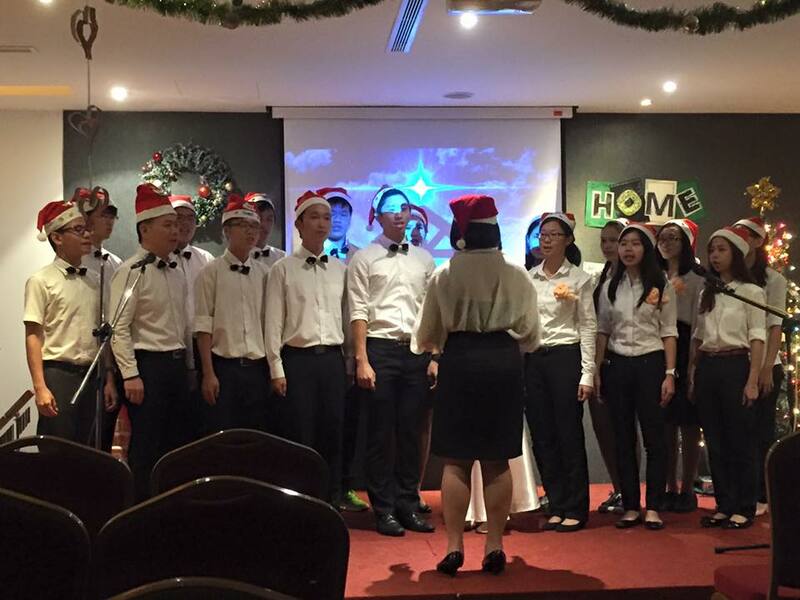 On 25th December 2015 at Gaya Centre Hotel, Hope Kota Kinabalu organised a Christmas celebration service with the theme “Home Sweet Home”. Home is more than a place to stay; it's a haven, a refuge, a sanctuary where one can be loved despite all that we are. This is something that everyone in the world longs for. As Christians, we have the ability to give this kind of unconditional love through the power of the Holy Spirit indwelling us. Thus, “Home Sweet Home” used to bring out the message; to introduce Him to those around us. The hall was colourfully decorated with streamers, bells, and a splendid Christmas tree creating an atmosphere that spread the Christmas cheer all around. The DIY fireplace made by Youths, providing a warm, home away from home atmosphere. 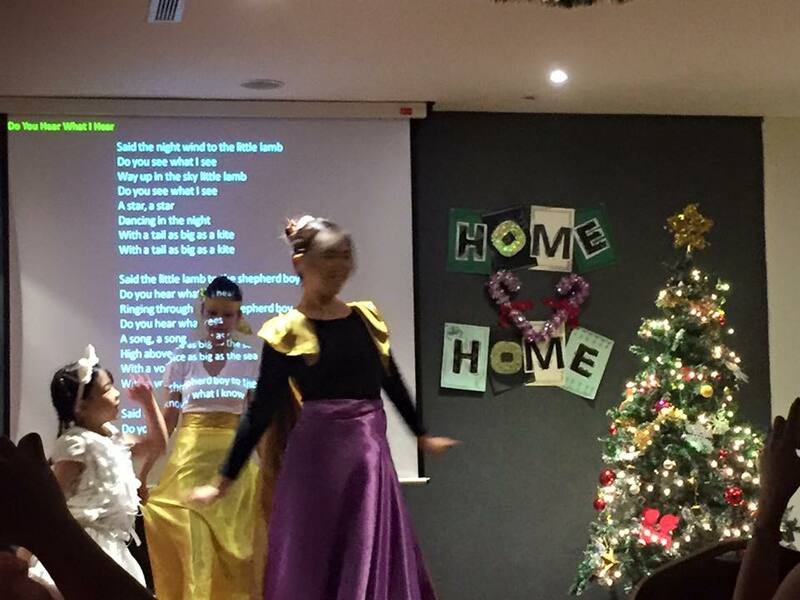 The whole program was a story about ‘The Birth of Jesus’, which was a medley of over seven songs, dance, video presentation, and carolling. 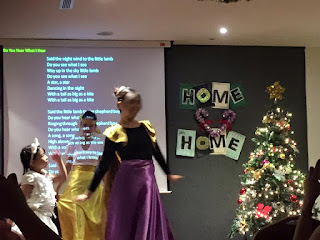 A vivid dance performance with the song entitled "Gabriel's Message", was performed as opening; depicting the annunciation to the Virgin Mary by the archangel Gabriel that she would become the mother of Jesus Christ the Son of God. 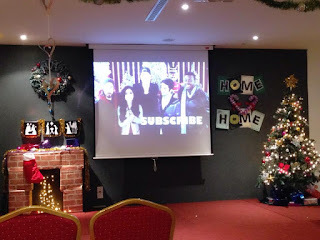 A video about the glorious advent of Jesus Christ was then played. 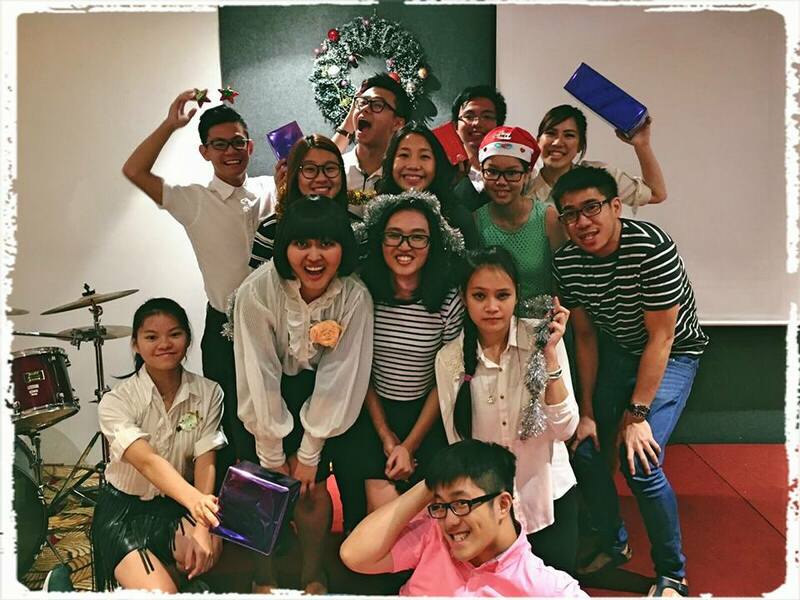 This was followed by the caroling team singing Christmas carols in praise of the Lord. The beautiful voices touched the hearts of all present. Even non-believer friends were touched as they responded to join caroling team for their very first time, to sing along and bless others. 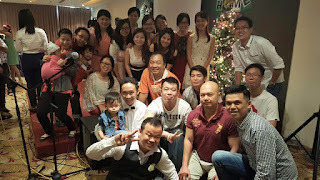 From door to door and heart to heart, from one place to another, the warmth and joy of Christmas caroling binds us together and brings them, those non-believer friends closer to God. 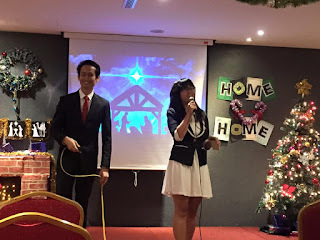 Pastor Anthony Ng with his translator, Emui, delivered a sermon on the theme “Home Sweet Home” and brought out the many wonderful aspects of Christmas. It reminds us that Christmas is not just frankly doctrinal; it’s boldly historical. The manger, the resurrection, the story of Jesus is not just a story. It is true. Jesus Christ came to earth, lived the life we should have lived and died the death we should have died; so when we believe in Him, we live a life of grateful joy for Him. “Do You Hear What I Hear”, performed with wonderful dance led by a beautiful talented lady from the youth and a cute 7-year-old girl who dressed up as sheep. Just from the faces of the audience, we could see that they really enjoyed it and was absolutely amazed by the graceful moves. 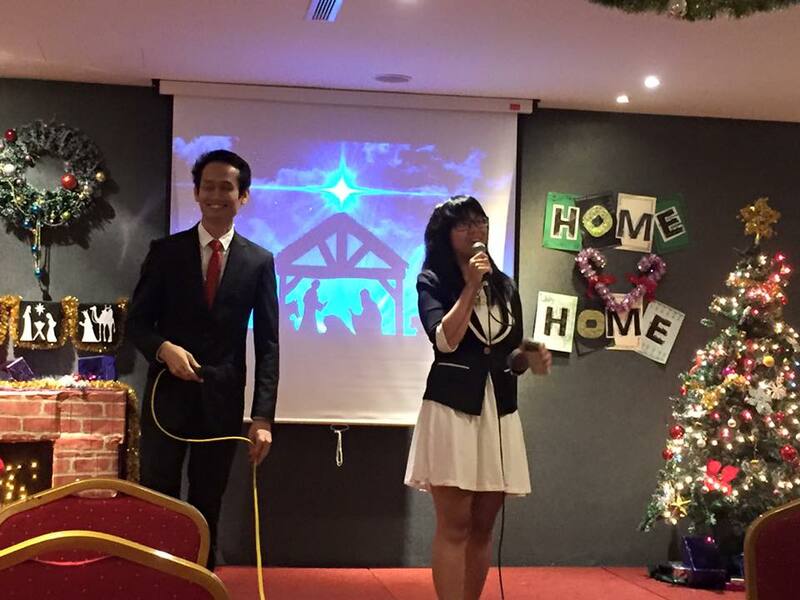 The worship team then presented the theme song “You will never walk alone” which brought out the main message. 'You will never walk alone, He'll be there down every road', the lyrics assured us that Jesus will be always be with us throughout all seasons in life. It captivated each and every one of our hearts as we sang along. Many were on the verge of tears as they reflected upon their own lives and beliefs. Last but not least, “Born is the King”, “Angels We Have Heard on High” and “Feliz Navidad” filled the air with festivity and captured the spirit of Christmas. Everyone enjoyed the beats. Christmas celebration service ended with a high praise. It was indeed a memorable event for the church and our visitors. Some visitors even heard the story of Christ's birth for the first time and this led into some good conversations with them afterwards. We will always remember the true meaning of Christmas i.e., the birth of Jesus Christ, who is always right beside us all the way. JESUS IS THE REASON FOR THE SEASON. Do pray for those who heard the message. To God be the glory!